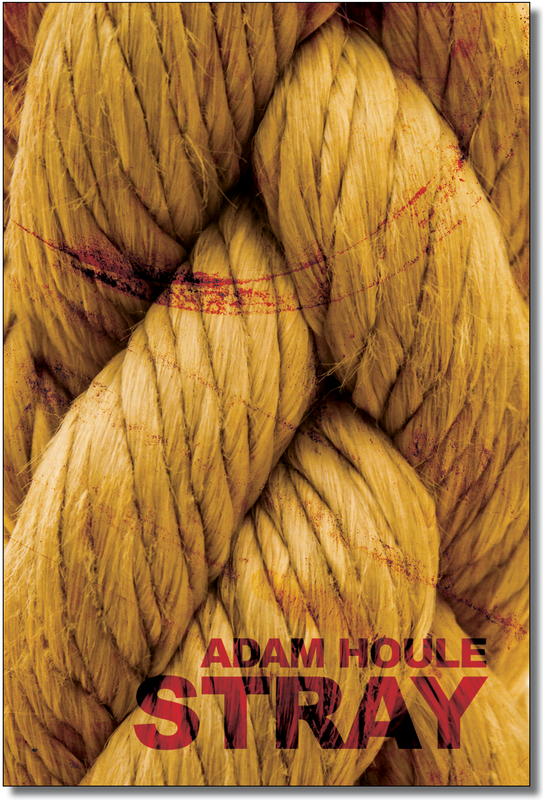 Adam Houle’s first book of poetry, Stray, is a collection of personal insights set in rural North America, poetic insights that attempt to make sense of loss and solitude. In “The One Where the Girl Died in Woods Close to Home,” Houle successfully employs the image of a filament in the headlight of a snowmobile as a method of coming to grips with the death of a neighbor. Houle almost manages to use the image of light to structure the poem delicately, so as not to overwhelm it with allegorical implications. and with it the wind conspired. The wind banked great drifts. It rearranged the known world’s face. A stronger poem with this sense of nameless loss is “North is Looking Up.” Here, the poet speaks of growing up near Wetmore Landing, on the shores of Lake Superior, close to Marquette, Michigan. Particularly powerful is the poet’s meditation on Superior’s dead. floating in boiler rooms, sleeping quarters. Taconite heavy in the hulls undelivered. One is reminded of Ariel’s song, “Full Fathom Five” in The Tempest. first craft, apprenticed me in turn. home to, a vast and verdant yard. [. . .] Look around, damn you. I’m it. We’re out here. I’m what you found. The echo of home suggests that the lack of permanence belongs not just to the stray dog but to the speaker, who recounts his experiences in a book entitled Stray. One can appreciate the inner-line rhyme of “come” and “thumb” and yet recognize that lacking Donne’s wit in “The Flea,” writing about the killing of an insect can be a challenging subject. The speaker remembers rolling his digit over an inkblot upon being arrested, but he makes little of it. Instead, he imagines that having felt the imprint of his thumb: “now you know me too / you careless insect.” So the poem’s insect is left with an insight before it perishes, but its reader is not so fortunate. It is almost as if the narrator’s solitude has prevented him from reaching out to a larger audience. It is not simply the speaker who is alone; the poem itself is isolated. those mission-driven mendicants who forage and grunt at garbage dumps. Only the fence, not the reader, witnesses what is inside this “hardback hymnal.” The poem’s vision depends on solitude, and it remains, somehow, alone. DOUG RUTLEDGE is the editor of Ceremony and Text in the Renaissance and the author of The Somali Diaspora: A Journey Away. His essay “Visibile Parlare: Ekphrastic Images in the Poetry of Angie Estes” was published in Ekphrasis in American Poetry: The Colonial Period to the 21st Century. His poetry and reviews have appeared in Chautauqua, River Teeth, Rattle, Asheville Poetry Review, The Journal, Third Coast, Borderlands: Texas Poetry Review, Southern Humanities Review, and Harvard Review Online. Stray. By Adam Houle. Lithic Press, 2017.